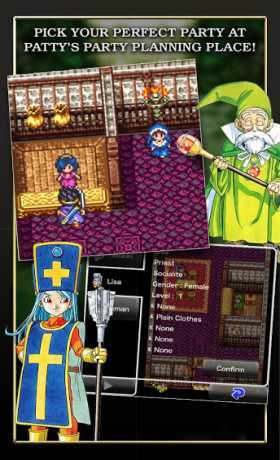 DRAGON QUEST III: The Seeds of Salvation—one of the most highly acclaimed and best-selling games in the franchise is finally here for mobile! Now all three instalments of the Erdrick Trilogy can be played in the palm of your hand! Every wondrous weapon, spectacular spell and awesome adversary in this rich fantasy world is yours to discover in a single standalone package. Download it once, and there’s nothing else to buy, and nothing else to download! 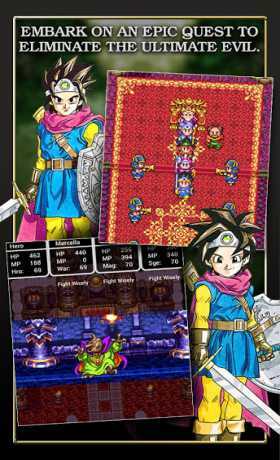 DRAGON QUEST III: The Seeds of Salvation has an independent storyline and can be enjoyed without playing DRAGON QUEST I or DRAGON QUEST II. On the morning of their sixteenth birthday, the child of Ortega, hero of the land of Aliahan, is charged with a seemingly impossible task by the King himself: to slay the Archfiend Baramos, master of darkness! What trials await our intrepid hero as they set out to take on a quest not even their legendary father was strong enough to complete? Set out on an unforgettable adventure with a party of up to four characters who can be customised to your exact specifications at Patty’s Party Planning Place! Choose names, genders and jobs, and put together the team of your dreams! Your party members can be assigned any one of up to 9 vocations, a choice which will dictate their stats, equipment, spells and abilities. Though the hero’s role has been decided by fate, the jobs of all the other characters are yours to change as you see fit. Characters who change jobs will be returned to Level 1 and have their attributes halved, but they will retain all the spells and abilities they’ve learned, allowing you to tailor your team to perfectly suit your needs. Turn a priest into a warrior to add healing abilities to your swordsman’s arsenal, or mix it up any other way you like! The possibilities are endless! 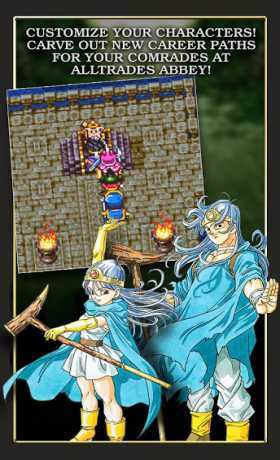 ・Experience an epic RPG experience with over 30 hours of gameplay with added features to the original release! Travel across multiple continents and dungeons as you level up your characters and unlock new spells and abilities. The personality system changes how your character grows making your party always unique. Mini-games like medal collecting to unlock powerful new items that were not available in the original release. Discover and explore bonus dungeons and location after completing the main plot. ・Experience the multi-million selling series, beloved both in Japan and beyond, and see how the masterful talents of series creator Yuji Horii first combined with the revolutionary synthesizer sounds of Koichi Sugiyama and the wildly popular manga illustrations of Akira Toriyama (Dragon Ball) to create a gaming sensation. ・Devices running AndroidOS version 4.0 or above.